Kay you guys KNOW I love breakfast foods, and last year I shared my BEST EVER french toast. 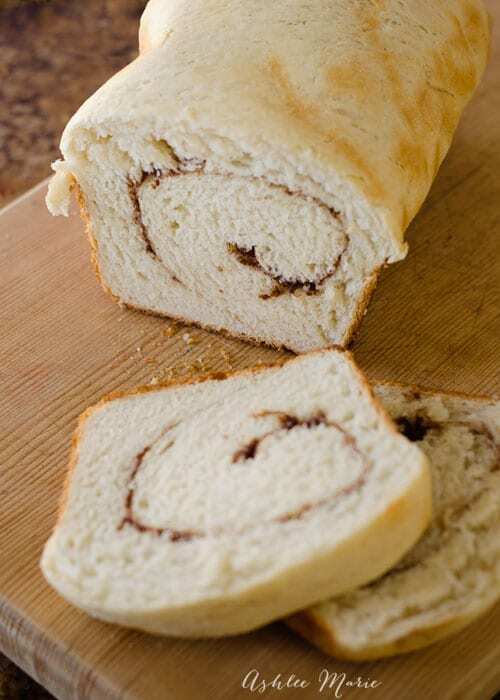 While it’s GREAT with any bread, seriously, I love love LOVE making a batch of this homemade cinnamon swirl bread JUST for french toast! Let’s face it, it doesn’t get much better than fresh carbs in ANY for! 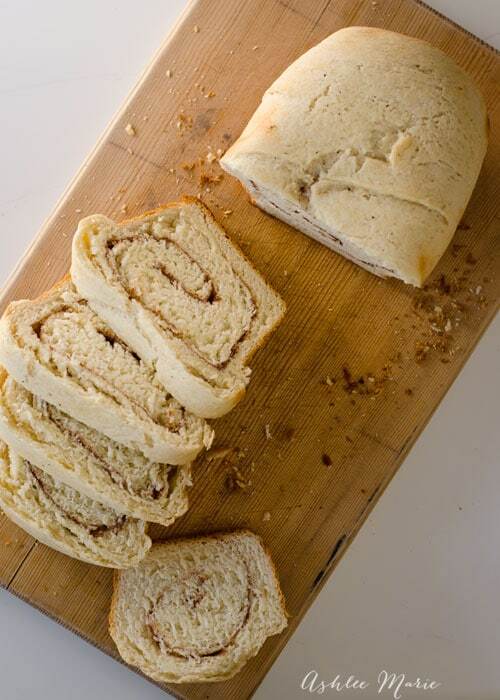 Fresh bread not only smells great, but tastes amazing, just melt in your mouth! So adding a swirl of pretty much anything is going to be a hit. Something about cinnamon in carbs is always a win win. I love bread that’s easy and is hard to mess up. This dough is pretty strong, easy to make and JUST the right balance. 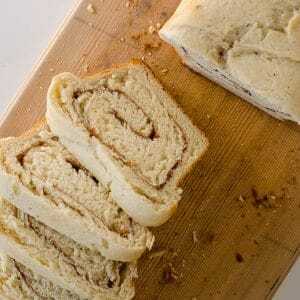 It’s not super soft, but not too dense, and JUST the right amount of cinnamon without being a sweet or dessert bread. You can leave the foil on as long as you want, I wanted a softer top crust so I left it on longer, if you want a beautiful brown crust take it off earlier. I MIGHT roll it out a LITTLE thinner next time to get just a little bit more of a cinnamon spiral going, but honestly it’s perfect just the way it is! Enjoy! The dough will be sticky at first but after awhile the dough hooks will do it's job, the dough will come together and start to ball up. Allow it to double in size, it will be around an hour, but depending on your humidity (or lack) and elevation it could be a little less or more. 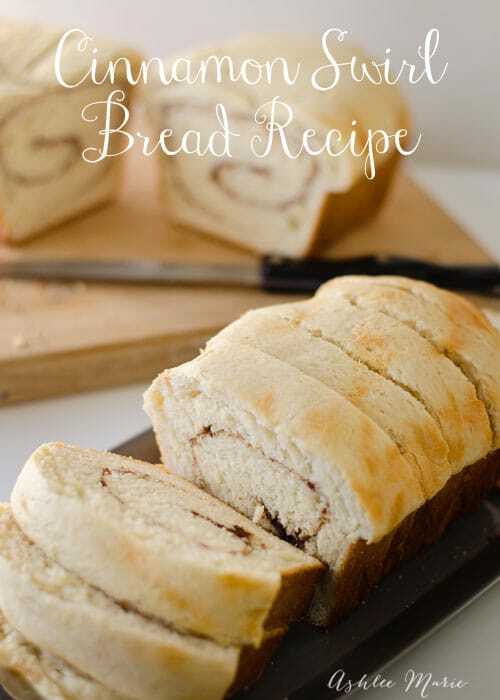 Mix the sugar, cinnamon and flour, sprinkle over the dough generously. Bake the bread 40-45 mins. After the first 15 mins cover it loosely with aluminum foil to keep it from getting too brown. It makes great toast too… my kids are toast lovers with vanilla sugar on top. So I always make a few loafs ever time so there are a few slices left for toast, AFTER the french toast of course! Cut it thick or thin, it’s delicious either way… What’s YOUR favorite breakfast? You made my favorite bread, anxious to try. 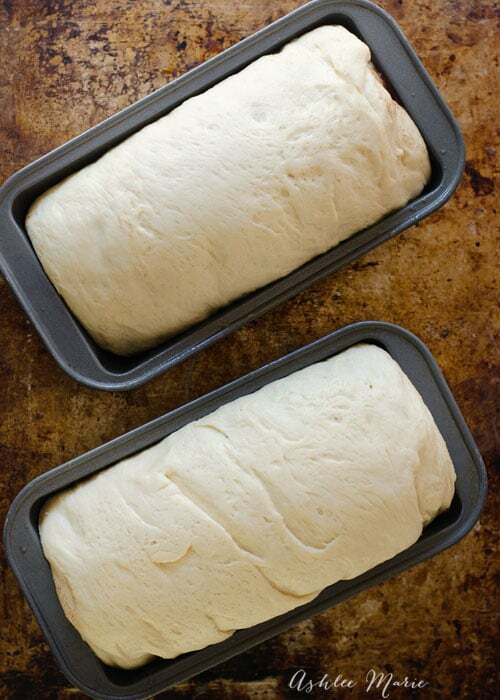 Please clarify….recipe states makes two loaves, the photo shows two but the recipe states put into one pan, etc. How many loaves will this make? Thanks in advance.